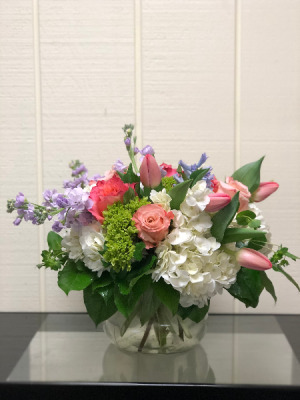 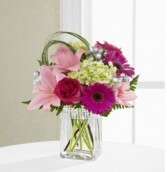 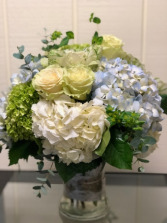 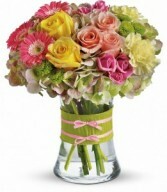 Clear rectangle vase with lovely lilies, mini green hydrangea and garden roses in Pinks, Peaches and greens. 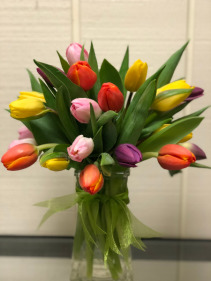 A wonderful surprise thats sure to bring a smile to anyone's face!! 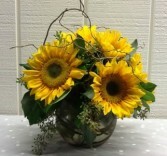 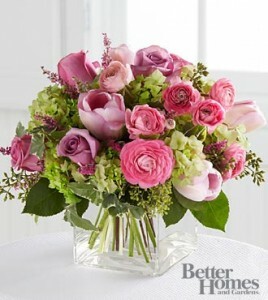 This arrangement would be perfect for any girl with an eye for style. 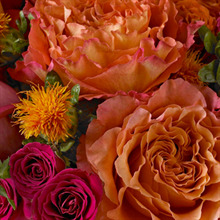 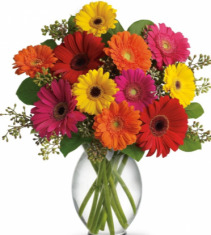 It's a must-have for fashionistas everywhere.Roses, Spray Roses, Hydrangea and Gerbera Daisy in a clear glass vase.